Berkley Books: New York, NY, 534 pp. While The Help tells about black domestics working for white housewives in Jackson, MS, during the 1960s, it also shows how a young woman loses her naiveté and her place in Southern society, but gains some soul. Stockton knows her subject, having grown up in a Mississippi home with a loving black woman who cooked and cleaned for the family while caring for and encouraging her. She writes the novel primarily through believable first person accounts: two very different black women (Aibileen and Minny) who are close friends and one young socialite (Miss Skeeter) who recently returned home after graduating from college. Although the book begins and ends in Aibileen’s point of view, most of it is from Skeeter’s perspective as she fails to fit back into social circles and her mother’s expectations, while covertly interviewing domestics and writing a book about their experiences. The genuine danger of the enterprise becomes more and more clear as the author mentions deaths, beatings, or mutilations and refers to real incidents of racial persecution during the volatile 60s. Black women who work for white women are commonly and generically referred to as “the help,” a label that lacks both humanity and individuality. It’s no surprise that many white employers treat their black employees badly, but there are others who care about and care for them. Stocktondoesn’t ignore the good while portraying the bad, and she doesn’t sensationalize excesses while describing accepted behaviors. Southern women are known for their gracious hospitality, but Stockton also depicts their vindictive exclusivity. One vicious young woman controls the accepted social group and exerts undue influence over her friends and their “help,” but is especially nasty to the young woman—considered poor white trash—who married her former boyfriend. The climax of that conflict appears in Chapter 25, “The Benefit,” which is an exception to the point of view rule by being written in the third person. Unusual graphic lines between text and margins help differentiate it from the other chapters. 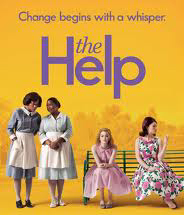 The Help has gotten a lot of hype. It’s been a #1 bestseller on the New York Times list and been made into a movie, so it’s possible to read it with expectations that are too high. Readers who come to it with lower expectations may enjoy it more. It is definitely a story about how small efforts can make a big difference toward racial reconciliation. But like To Kill a Mockingbird, to which it is often compared, it is about much more than racial prejudice. At the risk of sounding like a literary deconstructionist (which I’m not), each reader will bring his or her own preconceptions to this narrative that will generate different nuances of meaning. As a writer, I strongly identified with Skeeter’s clueless desire to write as well as her exhausting marathon to meet impossible deadlines and her agonizing wait to hear back from a publisher. As a reader, who happens to be a Christian, I latched onto Skeeter’s reflection near the end of the book: “Lately I’ve found myself praying, when I’ve never been a very religious person. I find myself whispering long, never-ending sentences to God, begging for Mother to feel some relief, pleading for good news about the book, sometimes even asking for some hint of what to do about Stuart. Often I catch myself praying when I didn’t even know I was doing it” (p. 432). In my mind, these are the novel’s most crucial sentences. I put the book down, very early one morning, with the feeling that Skeeter will be all right, not because of what she’s done or what she’s going to do, but because of who she talks to about it. Hi. I’m new on this whole blogging culture but I have to say I really like the way you have reviewed the book. I myself read it a couple of days ago and it left a deep impression in my mind. ‘To Kill a Mockingbird’ is one of my all time favourites and yes, I did relate both the books together. It is interesting and also so overwhelming to see how the racial prejudice is described subtly through a child’s eyes in one and glaringly through the victims eyes in the other. What I found the most riveting in the book was how even though the socialite ladies make such a distinction between ‘black’ and ‘white’, their treatment of Celia Foote, notably ‘white trash’ just blurs the lines altogether. Skeeter Phelan is admirable and her insecurities and little victories and losses in love and work make her more human than anyone else in the book. Minny’s sass and tough persona, her frustration with her white employer not knowing the ‘lines’ and courage so far as to save her co-workers, putting herself out there makes her a beautiful character.The ending, especially when Aibileen for the last time instructs her little charge to keep in mind that no matter what, she should think of herself as kind and smart, brought tears to my eyes. For some reason, Aibileen’s love for the child and her pain at leaving it to the mercy of ironically its own mother made me break down. I loved this novel, every bit of it.